Gorgeous Pictures of Colorful Tattoos on Little Girls! 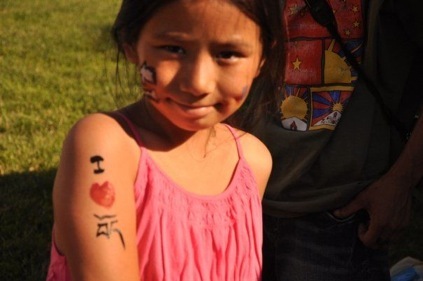 This lovely Tibetan baby tattoo says 'I Love Tibet'!. 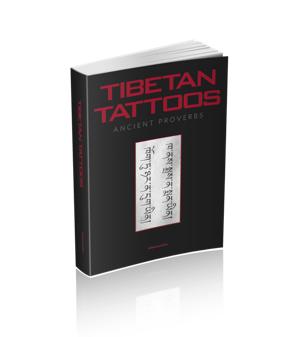 Tibetans call children 'baby' even up until the age of 18 sometimes! Tibetan children show their strong spirit early in life and enjoy showing off Tibetan freedom slogans and the colorful national flag. They also enjoy pretending that they are wearing real tattoos just like the big kids. 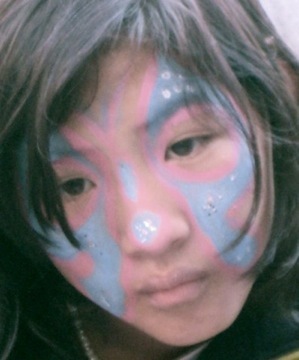 Children the world over love to paint and to get painted! 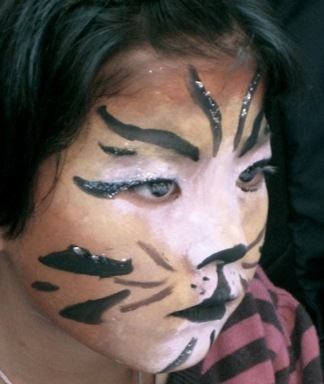 Whether getting their faces or arms painted, finger painting or just simply getting paint all over the place, the Tibetan kids are no different. 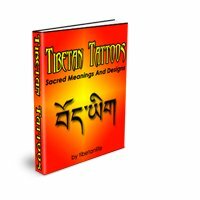 Get your own name in Tibetan on a tee shirt!